Hello and welcome. 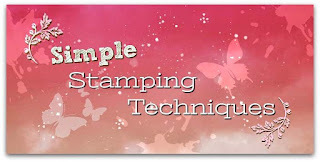 Today it is time for the Simple Stamping Techniques Blog Hop. This month we are featuring a technique where you create marbling using Stampin' Blends. This is a technique that I have never done before so was eager to have a go. I found out it is a fun technique and the results can be so varied. I think I possibly spritzed my ink a little too much and I lost the marble look a little. But I still loved the background I achieved. Here is the card I ended up with. 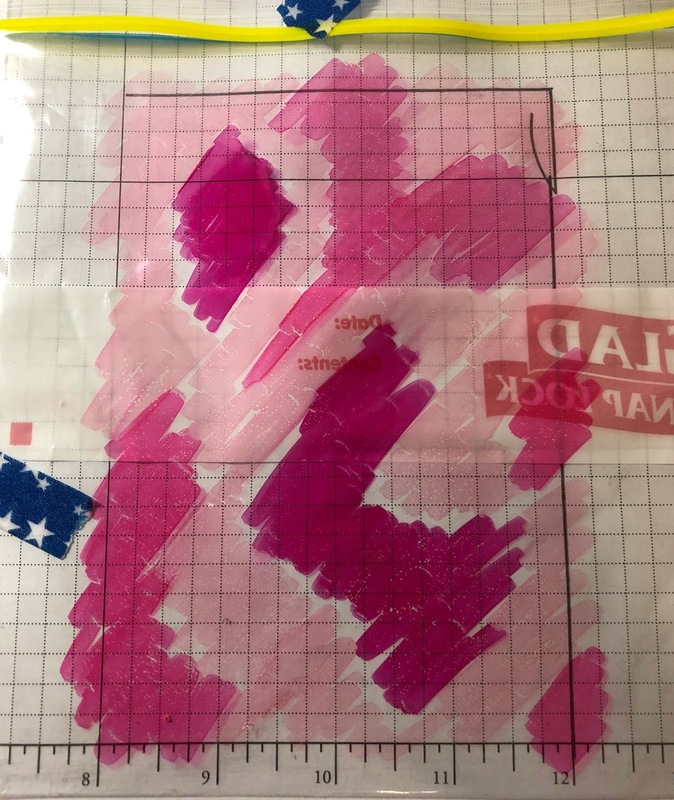 This technique doesn't take a lot of supplies. 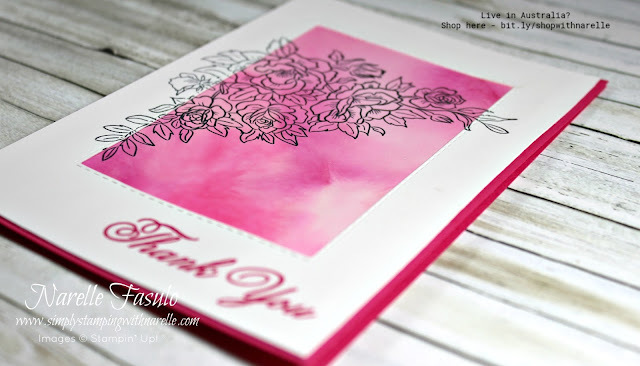 You just need Glossy Whisper White card stock, a snap lock bag, your Stampin' Blends and some rubbing alcohol in a spritzer. This technique will only work on the glossy card stock. Start with taping your snap lock bag down so it doesn't move. 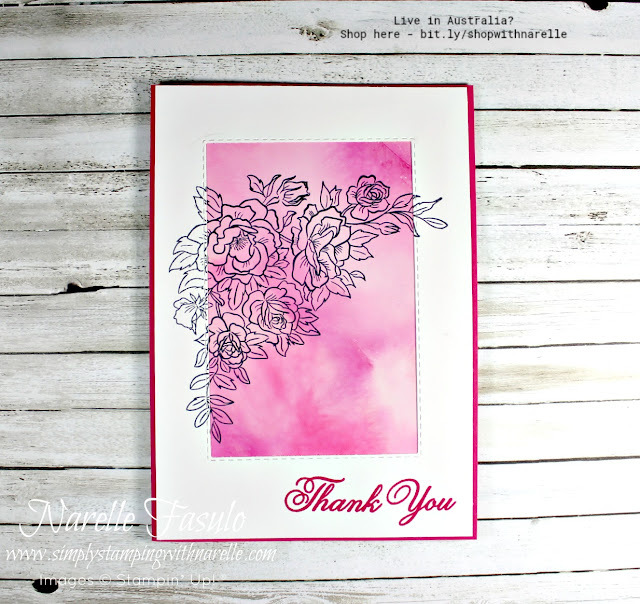 Then scribble all over it with the Stampin' Blends. Once you are happy with your random scribbles, spritz the snap lock bag with the rubbing alcohol. Spritz until you get little beads on the bag. The more you spritz, the more the ink will blend together. Like I said earlier, I think I spritzed mine a bit too much, or possibly I didn't do small enough sections of ink to create a better marble effect. But I still love what I created. Lay your piece of Glossy Whisper White card stock face down onto the wet ink. 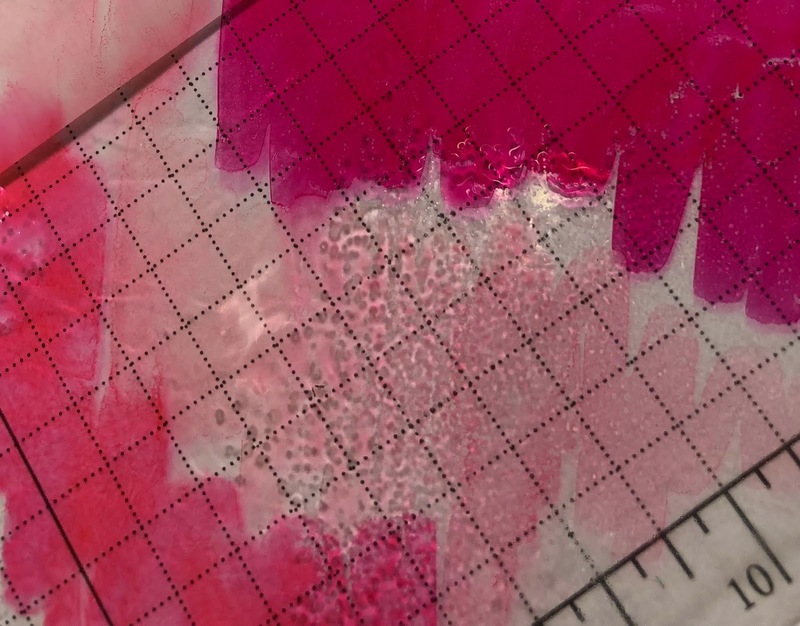 Make sure the entire surface is touching the wet ink and then carefully lift it off. You will get an entirely different look every single time to do this technique. If you would like to see the video which inspired this technique, you can check it out here. Now that you have seen my creations, it is time to see what everyone else has done. To purchase any of the supplies I have used in todays cards, please see the Shopping List below.